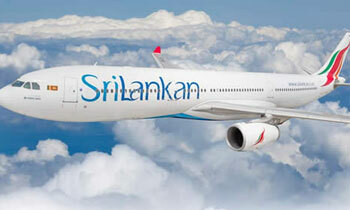 SriLankan Airlines Chairman Ajith Dias has said that he was no longer interested to be the Chairman of Sri Lankan Airline. Meanwhile, responding to the resignation of Mr. Dias, the Airline Pilots Guild of Sri Lanka (ALPGSL) yesterday said during his tenure as Chairman, the company faced obstacles; notably the restructuring process in order to resurrect the National Airline from the crisis that it has fallen to. In a letter to Mr. Dias, ALPGSL Chairman Captain Ruwan Vithanage said whilst they may have been differences in opinion on matters related to the Airline, it remained strictly professional and never personal. “It must also be stated with appreciation that during all of our interactions in the past, you constantly maintained the calibre befitting the position of your esteemed office. We wish to take this opportunity in wishing you all the best in your future endeavours,” he said. The damage you did with the auspices of your Royal friend is quite enough. And that too off public money (free education). He ruined everything that left behind by his predecessor. One by one, Ranils crony appointees are leaving in disgrace. Will he realize at last it is professional competence, and not personal loyalty that counts. One of the Union leaders had written to the Chairman asking awareness program about Nyras restructuring plan ; and as a reply Chairman had copied to all Union leaders stating above stance. How can these royalists fail continuously. Why not try a guy from Maha-Vidyala as a trial. This is the first correct decision Mr. Dias has done.as chairman of SriLankan. Take it positively, Please assign an expert in the airline industry for this position as well as CEO. I don't see our current CEO got the capabilities to run an airline though he was a pilot. Next should be the CEO, who is the major culprit and misfit for the position.